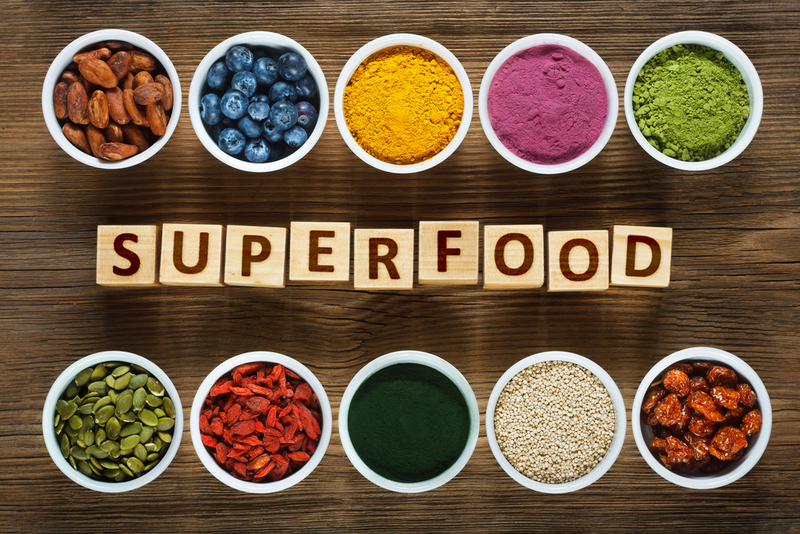 Superfoods: the name sounds heroic because these foods actually do have the power to save your body! But what makes superfoods so super? Here is everything you need to know. You probably already eat them daily. Most people aren’t aware that their diet includes superfoods unless they search for the word on Google. Superfoods include salmon, beans and turkey, just to name a few. This grouping of foods isn’t exclusive or rare. They’re merely nutrient dense. Superfoods contain dietary fiber, vitamins and antioxidants. Consider superfoods a treat for your tastebuds, your body and your soul. Kale isn’t the only leafy green. Superfoods rose to popularity after the world discovered the power of kale. 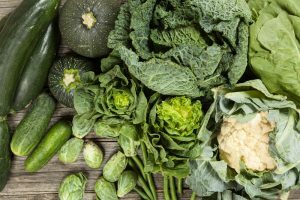 However, other leafy greens like spinach, collards and cabbage are also on the list. 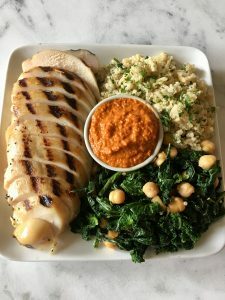 Here at Market Table, we offer delicious dishes like our Kale, Quinoa and Sweet Potato Breakfast Bowl or our Kale and Romaine Caesar Salad. If you’re interested in branching out to other super-delicious leafy greens, try our Bacon, Egg, Spinach and Tomato Bowl or our Hamm Farm Collard Slaw. 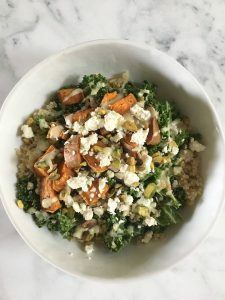 Market Table’s Kale, Quinoa, Roasted Sweet Potato Bowl with Feta. Don’t let the “super” fool you. 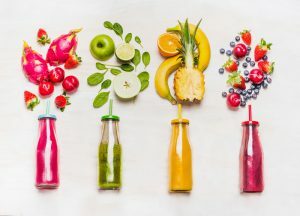 You may think that superfoods are expensive and exotic fruits and vegetables. However, the term “superfood” can relate to anything that’s good for you. There’s no particular section on the food pyramid for these foods. In fact, most doctors and nutritionist consider “superfoods” a marketing term. Anyone, anywhere can incorporate these items into their daily diet. Variety can genuinely be the spice of life when you are creating a healthy lifestyle. From quinoa to blueberries to steak, there are many varieties of superfoods. It may surprise you that even popcorn and dark chocolate fall on the list. From egg scrambles to sandwiches to salads, Market Table‘s dishes feature a delicious variety of superfoods. Having a banana can feel refreshing, but not because you’ll gain Hulk-like strength. The power comes from your body finally getting all of the nutrients it needs. Plus, a superfood a day can keep the doctor away: some help with diabetes or weight loss. Now that the idea of eating superfoods isn’t scary, incorporate them into daily life. 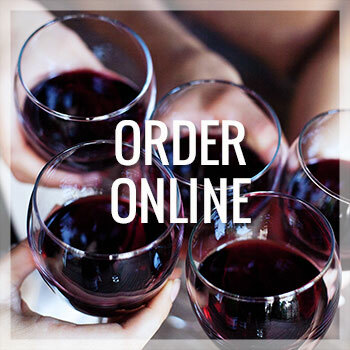 With so many options, there are countless opportunities for breakfast, lunch, and dinner. 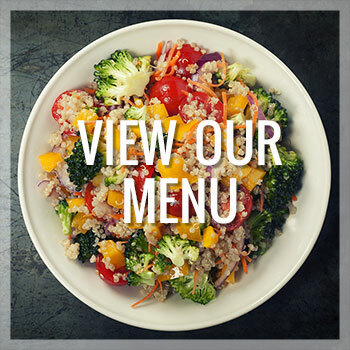 If you’re looking for ideas, Market Table‘s recipes, prepared foods and meal kits — not to mention the breakfast and lunch options served in our café — will send you in the right direction.